Is summer almost over?! Say it isn’t so! Tip #1 No mat, no problem. Don’t get hung up on the small stuff. 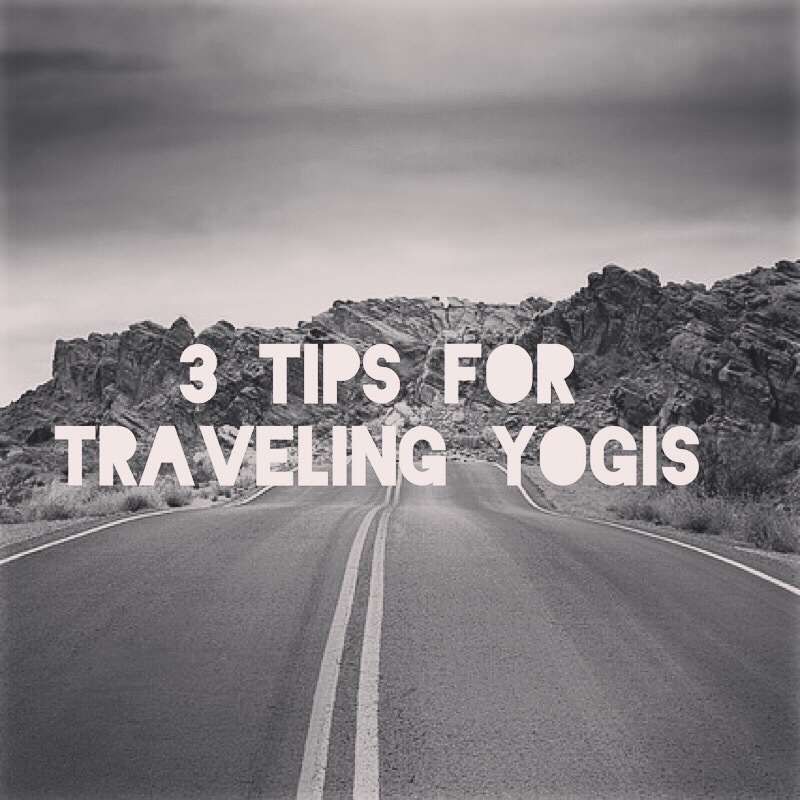 Yes, you could get a travel mat and bring it with you wherever your travels take you but it’s also ok to practice yoga wherever you are and on whatever surface you find accommodating to your practice. Downdog does not discriminate. You can practice yoga on a carpet, hardwood floors, a chair, a wall, grass etc. Don’t let the fact that you don’t have a mat be an excuse for you not to practice. Try Puppy Dog at the wall, a chair twist in a chair, Cat/Cow on the hotel floor, tree Pose in a grassy park, or try a simple meditation in your bed when you wake up. Look up local yoga studios where you are traveling and attend a class. I love trying out new yoga studios when I travel because yoga is always different in different parts of of the world. Dialects, sequences, music/no music tastes, themes, etc all differ from what you are used to at home. Keep in mind, your practice is your practice nonetheless so have an open mind but feel free to take it easy. The best gift of traveling is the ability to be present. Remember to soak in all the wonderful memories we make on fun vacations! If your yoga practice is working it’s magic this is a no-brainer. You are doing your yoga practice when you are enjoying the sunset (without taking a photo of it), laughing with your family, savoring the taste of your fresh brewed coffee or taking in the sights of a historic city. Let me know your favorite places to travel and if you’ve ever done any yoga on vacation in the comments below!